Based on the 2014 Godzilla movie, the greatest of the monsters rejoins X-Plus' figure line with an updated sculpt and coloring! 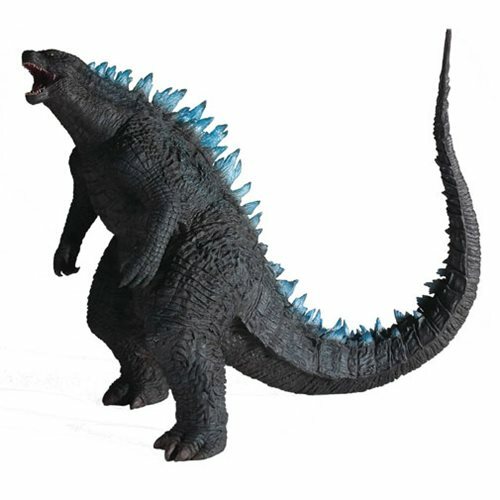 The Godzilla 2014 Blue Dorsal Version 12-Inch Vinyl Figure - Previews Exclusive features blue spines and an awesome roaring head sculpt. This exclusive figure is an exciting addition to any Godzilla collection as it comes packaged in a closed box. The Godzilla comes with a severed Muto head! Ages 15 and up.